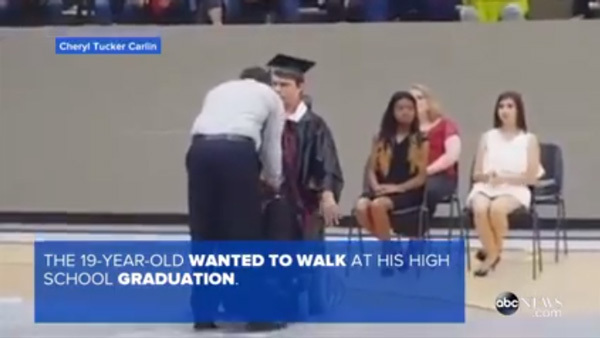 A 19-year-old from Arkansas who has been in a wheelchair since last year set walking at his school's graduation as his top goal. A few days ago he achieved that goal. Doug Haynes of Bearden, Arkansas had surgery last November to treat the muscular dystrophy he had since he was 12 that left him unable to walk. Haynes has undergone hours of physical and occupational therapy daily since the surgery. He only told his family, a classmate and the school's principal about his plan to take his first steps to receive his diploma. Visit ABCNews.com for the full story.